You can preserve foods inexpensively by using canning, freezing, or drying techniques. Modern-day food preservation methods, such as water-bath canning, help you can and preserve with ease. After you understand the basic procedures for a food preservation method, you’ll just need to concentrate on preparing your recipe. 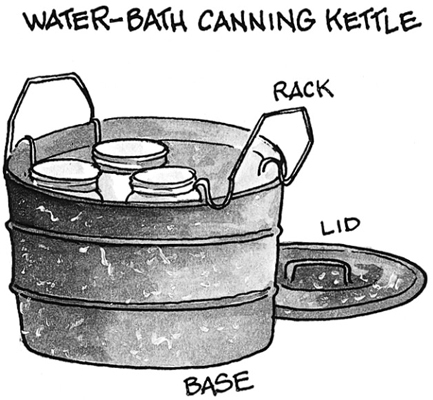 Water-bath canning: This method, sometimes referred to as hot water canning, uses a large kettle of boiling water. Filled jars are submerged in the water and heated to an internal temperature of 212 degrees for a specific period of time. Use this method for processing high-acid foods, such as fruit, items made from fruit, pickles, pickled food, and tomatoes. Pressure canning: Pressure canning uses a large kettle that produces steam in a locked compartment. The filled jars in the kettle reach an internal temperature of 240 degrees under a specific pressure (stated in pounds) that’s measured with a dial gauge or weighted gauge on the pressure-canner cover. Use a pressure canner for processing vegetables and other low-acid foods, such as meat, poultry, and fish. 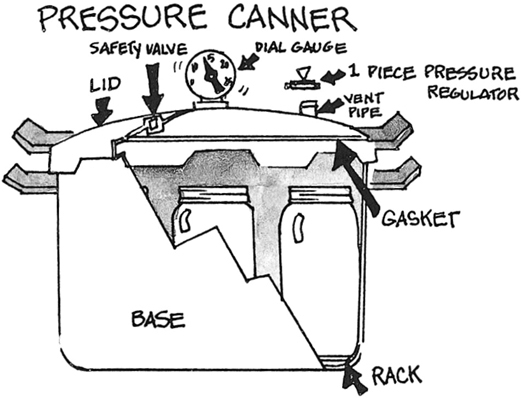 Don’t confuse a pressure canner with a pressure cooker, which is used to cook food quickly. A pressure cooker does not have adequate room for both the canning jars and the water needed to create the right amount of pressure to preserve foods. Older canning methods are unreliable and, for that reason, aren’t used or recommended today for home-canning. Occasionally, these methods are “revived” as being faster and easier than water-bath or pressure canning, but using other methods is like playing Russian roulette with your food safety. Freezing foods is the art of preparing, packaging, and freezing foods at their peak of freshness. You can freeze most fresh vegetables and fruits, meats and fish, breads and cakes, and clear soups and casseroles. The keys to freezing food are to make sure it’s absolutely fresh, that you freeze it as quickly as possible, and that you keep it at a proper frozen temperature (0 degrees). Properly packaging food in freezer paper or freezer containers prevents any deterioration in its quality. Damage occurs when your food comes in contact with the dry air of a freezer. Although freezer-damaged food won’t hurt you, it does make the food taste bad. Reduce exposure to air: Wrap food tightly. Avoid fluctuating temperatures: Keep the freezer closed as much as possible. Know what you want to remove before opening the door. Don’t overfill your freezer: An overly full freezer reduces air circulation and speeds freezer damage. 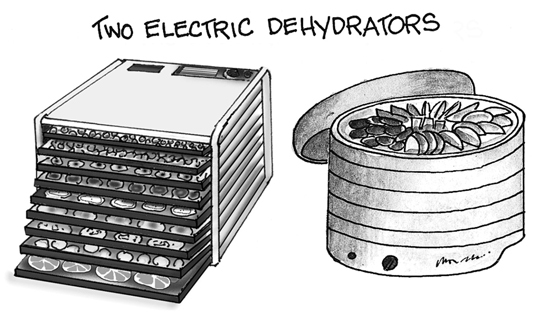 An electric dehydrator is the best and most efficient unit for drying, or dehydrating, food. Today’s units include a thermostat and fan to help regulate temperatures much better. You can also dry food in your oven or by using the heat of the sun, but the process will take longer and produce inferior results to food dried in a dehydrator.